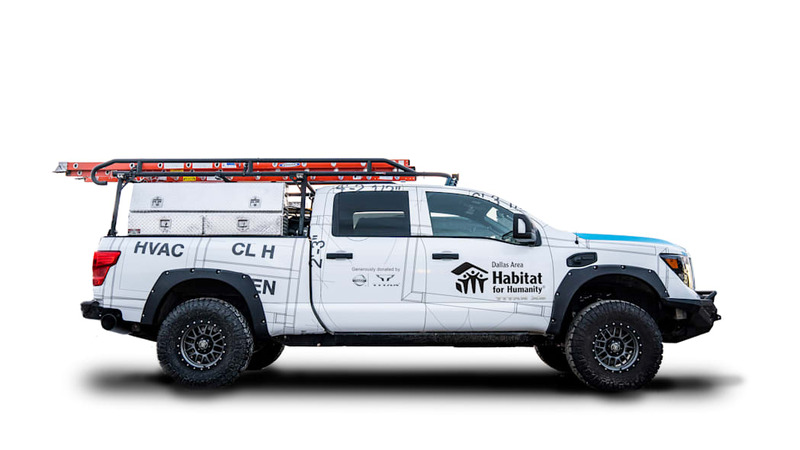 Nissan and the housing organization Habitat for Humanity have gone to work together and created this Ultimate Work Titan concept truck. 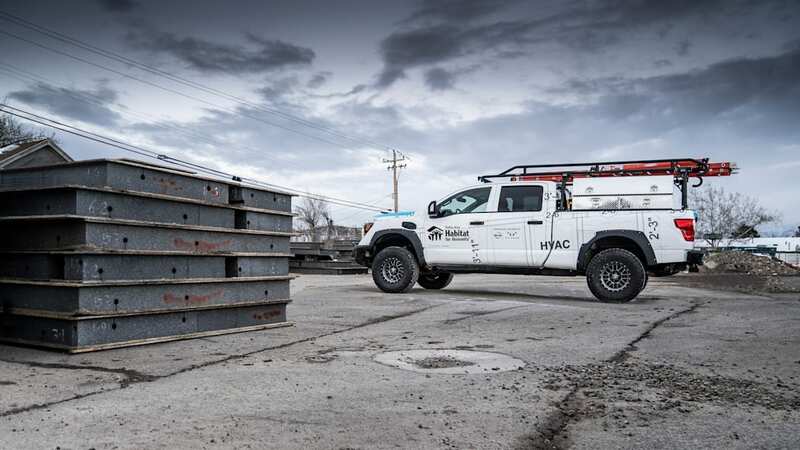 Based on a Titan XD Diesel Crew Cab, the truck is an off-road capable mobile office for construction work. 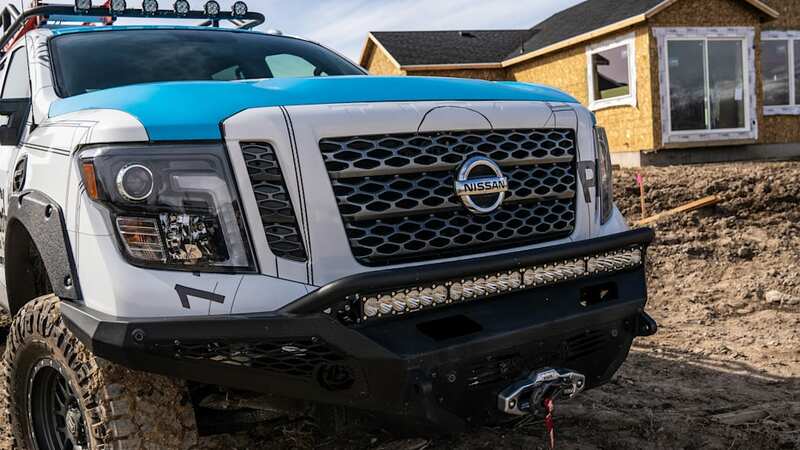 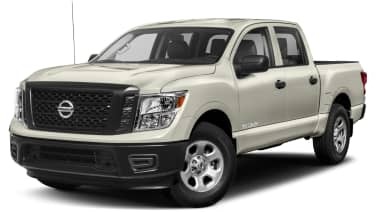 Having interviewed construction site supervisors and volunteers across USA, Nissan and Habitat came up with these basic requirements for their joint venture concept: First of all, the truck needed off-road capability, without question. 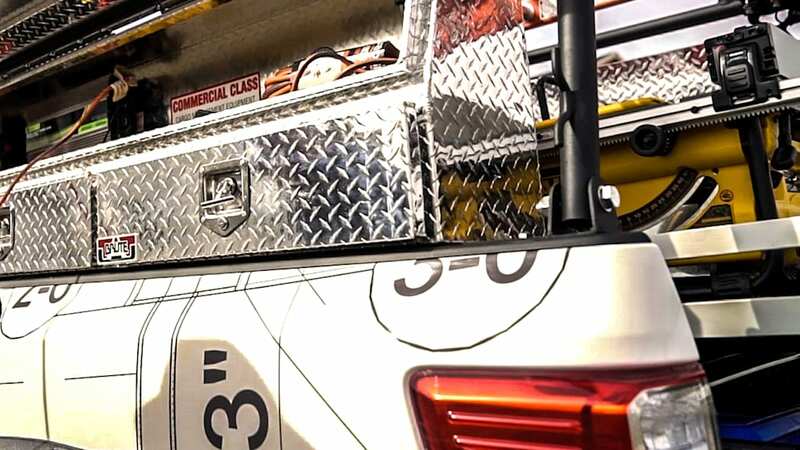 Second, the interior should be able to transform into a mobile office, and third, the bed would need to feature easily accessed but lockable tool storage and space for ladders. 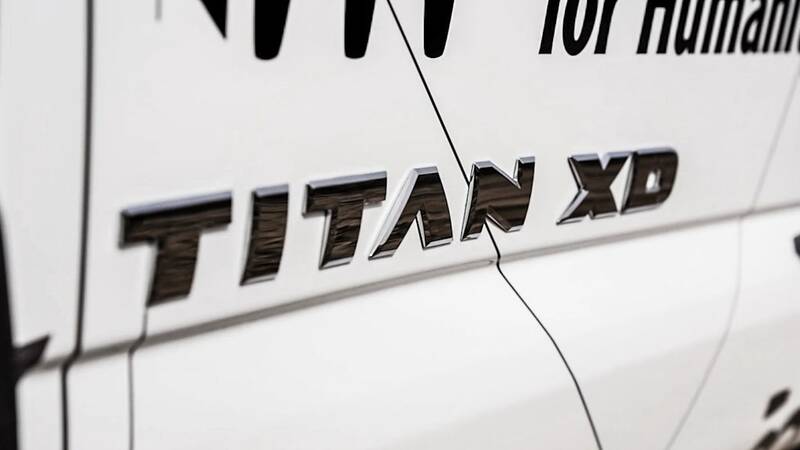 Displayed at the 2019 Work Truck Show at the Indiana Convention Center March 6-8, the Ultimate Work Titan has been created in the same style as earlier Titan-based one-off builds, but it's a touch more serious and a lot more work-oriented. 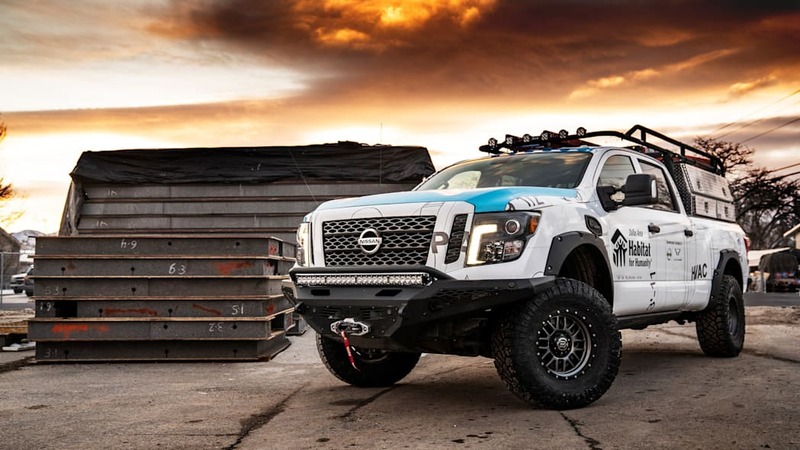 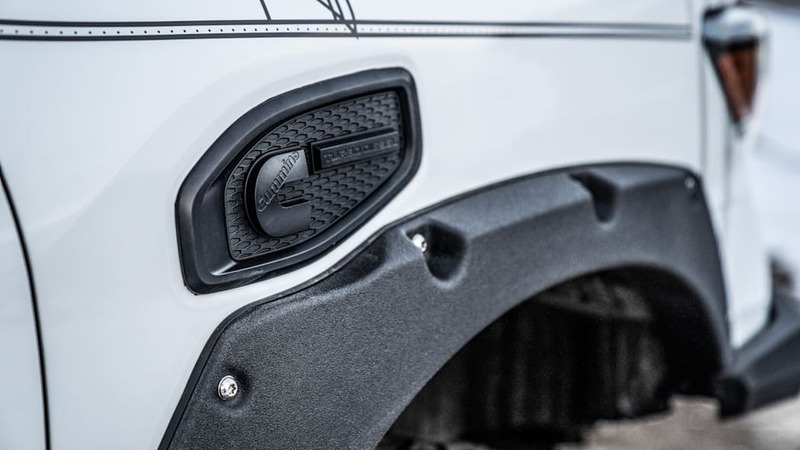 There's an Icon three-inch lift kit and adjustable coil-overs, as well as Nitto Ridge Grappler tires and Icon Rebound wheels for the off-road routes, complete with Addictive Desert Designs bumpers and a Warn Industries Zeon Platinum 12-S winch. 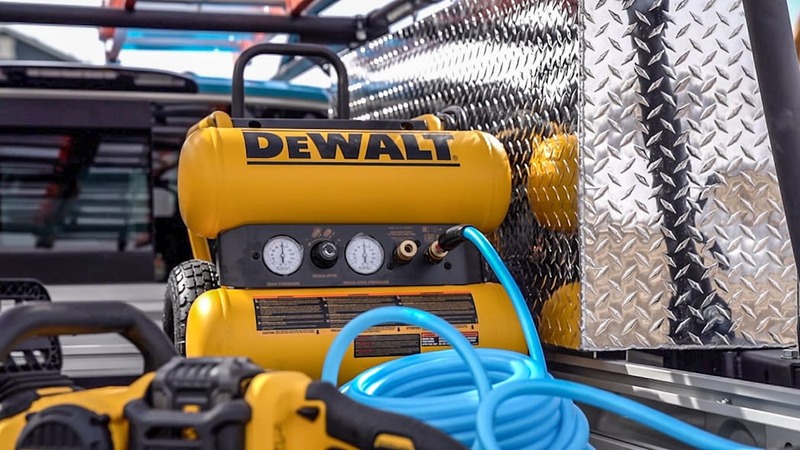 Lighting comes courtesy of Baja Designs. 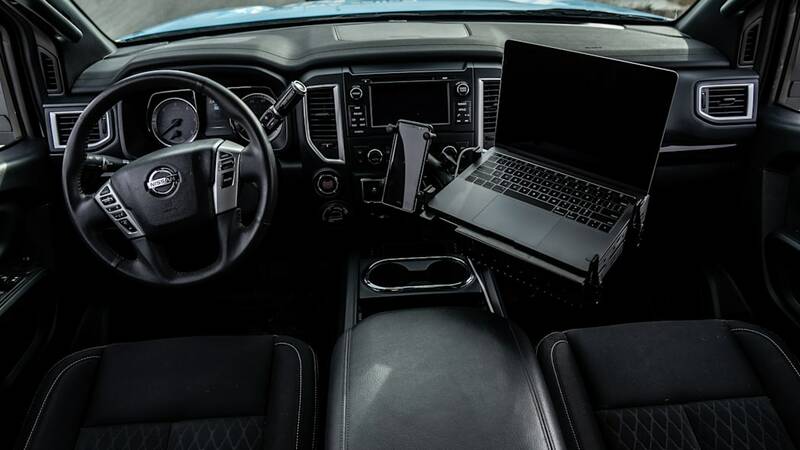 The back seat is now a full mobile office with a custom desk, and planning work gets done on a 13-inch laptop hooked up to a printer. 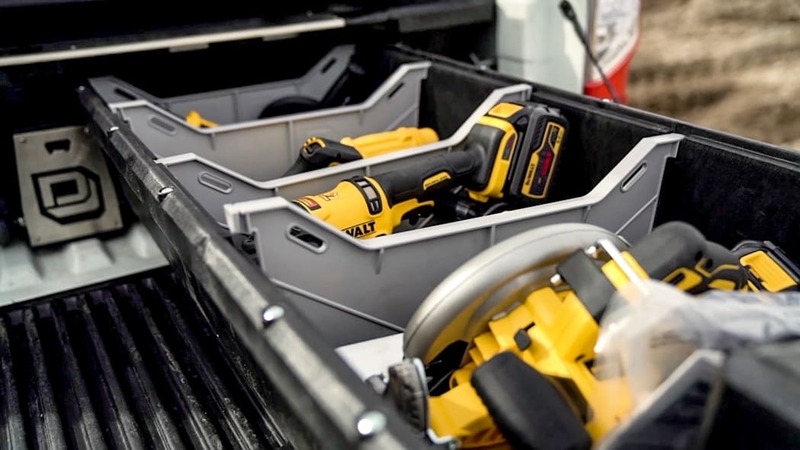 On the bed is a Bedslide 2000 Heavy Duty setup and a Decked lockable storage system, as well as saws ranging from a table saw to a chainsaw, air compressor and a drill kit. 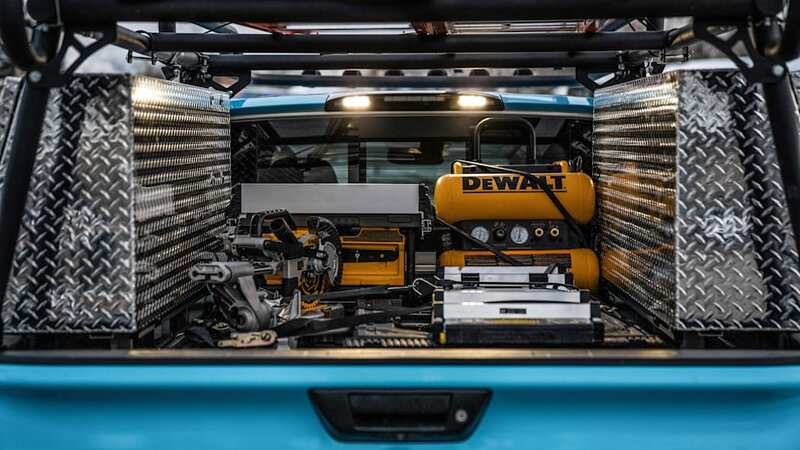 There's a Zamp 200 watt power inverter and two 110-volt power outlets, one of them in the cabin. 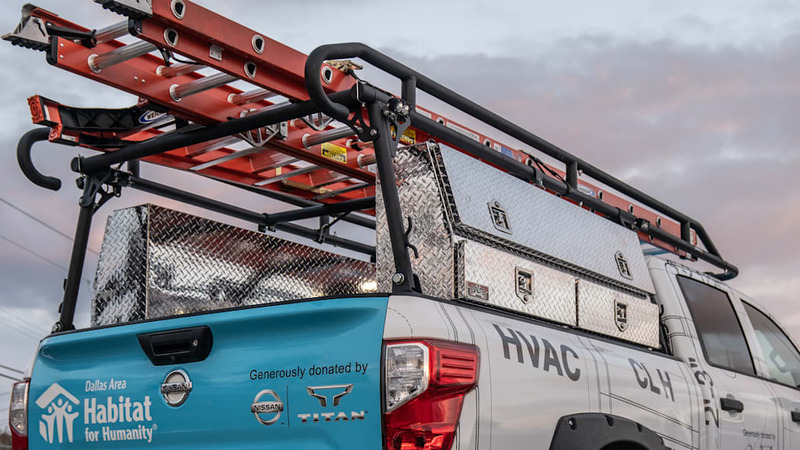 And the much-needed ladders are stored in a TrailFX aluminum ladder rack. 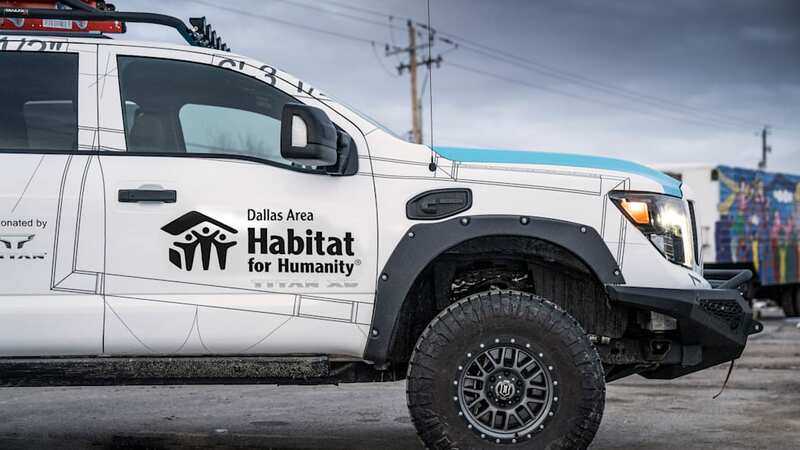 Nissan and Habitat for Humanity have a longstanding relationship. 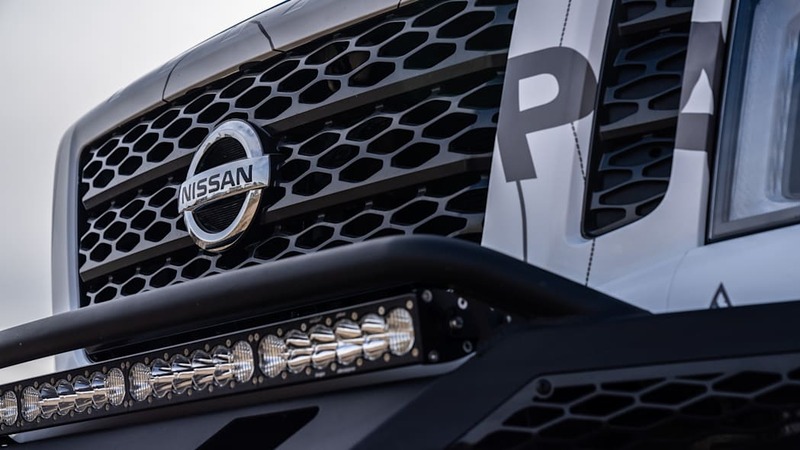 The automaker has donated more than 150 trucks and $16.9 million to the charity since 2005.